Beneficial ownership transparency is in the spotlight, and many compliance experts believe 2017 was a turning point in achieving greater transparency at a global scale, especially in preventing tax evasion and corruption. Recent regulatory efforts of government and international agencies, such as the US FinCEN CDD final rule and the G20 Anti-Corruption Action Plan, have been aimed squarely at strengthening beneficial ownership transparency rules. However, the limited accessibility, reliability and timeliness of beneficial ownership data on legal persons and legal arrangements are still the bottleneck preventing many businesses from effectively mitigating credit risks and compliance risks related to financial crimes such as corruption, tax evasion, and money laundering. 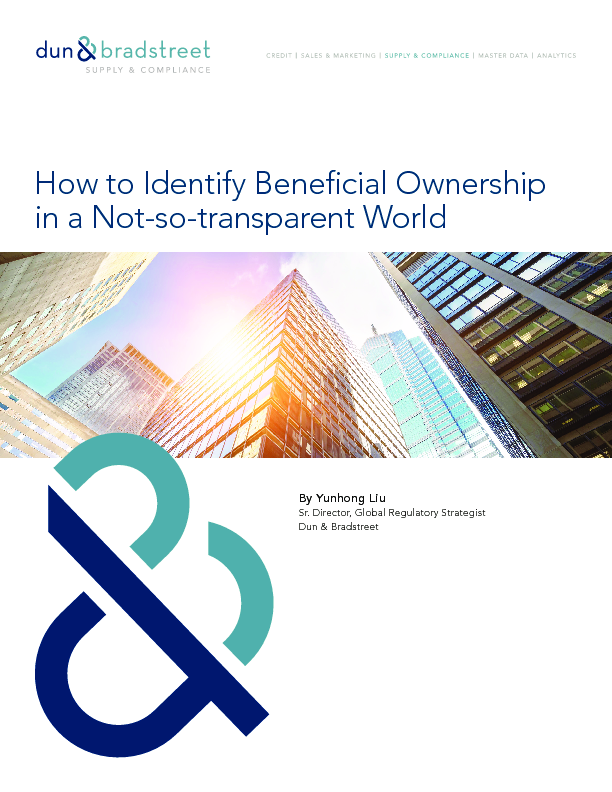 While it may take a longer time to realize full beneficial ownership transparency worldwide, it is important that regulated firms have a full grasp of the beneficial ownership due diligence-associated risks in the countries in which they conduct business. That knowledge will enable them to take a risk-based approach, leveraging the best available data and adopting measures to augment today’s beneficial ownership due diligence processes. The ultimate goal is not just to be compliant with the minimum regulatory requirements, but to prevent the business from significant risks.